Whitney was born on December 8, 1765, to a farming family in Westboro, Massachusetts. He demonstrated superior mechanical aptitude as a youth. He graduated from Yale College (now Yale University) in 1792 and traveled to Georgia, where he was promised a tutoring position. The job fell through, and he was left far from home without money or a job. Catherine Greene, the owner of a cotton plantation in Georgia, befriended the jobless Whitney. He became familiar with cotton production, and Greene pointed out that the cotton seed adheres to the fiber, making the cleaning process extremely tedious. She encouraged him to use his mechanical talents to design a machine to clean the cotton more efficiently. By 1794 he had built such a device, but it didn’t work well. Greene suggested that he substitute wire hooks (like crochet hooks) for the wooden teeth he had used on the rollers of the “cotton engine” or gin. With this change, Whitney patented the invention that drastically reduced time spent cleaning cotton. 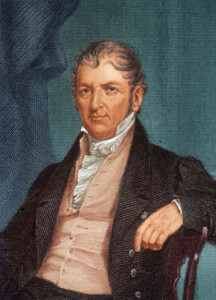 Whitney and his partner Phineas Miller (Greene’s husband) opened a business in Connecticut for the manufacture and service of cotton gins. However, the gins were simple to copy, and Whitney and Miller were out of business by 1797. After the partners lost numerous patent ­infringement lawsuits, several southern states reluctantly offered them monetary compensation for the invention. Meanwhile, France had threatened war, and the United States government had solicited 40,000 muskets from private contractors. Whitney signed an agreement in 1798 to deliver 10,000 muskets in two years. He planned to break with the traditional method, whereby a skilled worker constructed a complete, unique musket. Whitney’s muskets were fashioned piecemeal, each part conforming to a model and made by a worker operating a standardized machine tool. The result was a collection of muskets with interchangeable, easily replaceable parts. Because of unforeseen delays, Whitney’s order was delivered eight years late in 1808. In 1812 the government requested a second installment of muskets; this one was delivered in two years. Whitney died in New Haven, Connecticut, on January 8, 1825. Whitney’s cotton gin increased cotton production and altered the economic and cultural future of the South. And his introduction of interchangeable parts played a key role in the industrialization of the modern world. The cotton gin enabled a worker to produce about 23 kilograms of cleaned cotton per day, a 50­fold increase over cleaning cotton by hand. The demand for cotton from English mills was rising, and cotton plantations expanded and enjoyed prosperity in the southern United States. The impact of the cotton gin on the South was not all positive. The cotton gin prolonged slavery and contributed to the Civil War. The increased production at cotton plantations required increased labor, and more slaves were used to fill the labor shortage. The cotton gin also helped to turn the lower South into a single­ commodity economy. While cotton fueled economic growth, it left the region vulnerable to fluctuations in the cotton market and frequent devastating infestations of the boll weevil. Continued reliance on this single crop eventually depleted the soil of its nutrients, reducing the agricultural output and economic viability of the South. Whitney’s use of milling machines to produce interchangeable, uniform parts marked the beginning of the modern era of manufacturing. Within 15 years of Whitney’s impressive musket delivery, the United States government required all manufacturers of small arms to use uniform parts. It facilitated fabrication and repair. Such standards of production spread to other industries and mass­ produced items increased by the mid­nineteenth century. Factory assembly lines and divisions of labor developed along with the practice of mass production. The efficiency of the new manufacturing method helped the United States grow into one of the leading industrialized nations.